impression on young and old readers alike. Zlata Filipovicwrote her diary between September 1991 and October 1993. Following its publication, she was awarded the Special Child of Courage Award by the Simon Wiesenthal Center. She and her family left Sarajevo in December of 1993, and used the proceeds from the book to launch a charity for child victims of the Bosnian war. 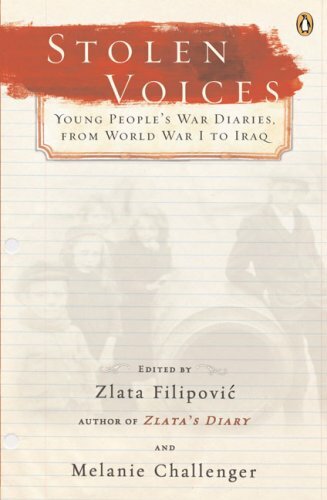 Zlata Filipovics bestselling diary of wartime Bosnia has been translated into thirty-six languages. She attended Oxford University and Trinity College, Dublin, and has spoken around the world on her experiences. Melanie Challenger,a graduate of Oxford University, was the recipient in 2005 of the Society of Authors Eric Gregory Award for poetry.